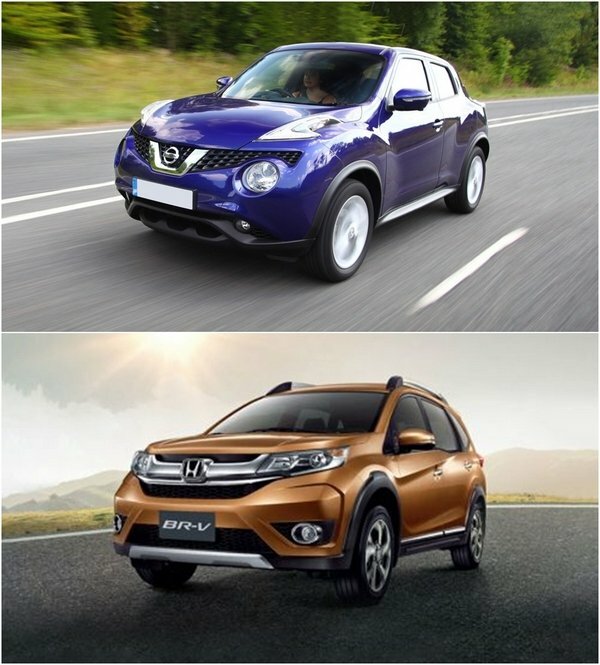 [Auto brawl 101] Nissan Juke vs Honda BRV: Who gains the palm? 7. 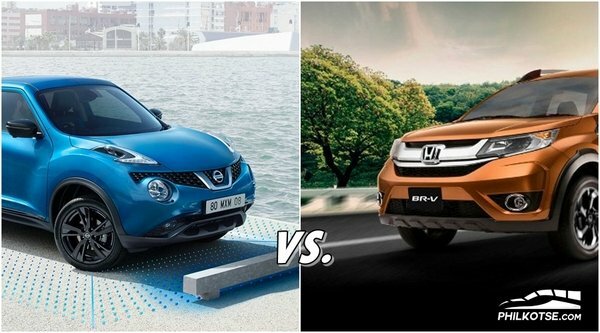 Nissan Juke vs Honda BRV: Who is the champ? 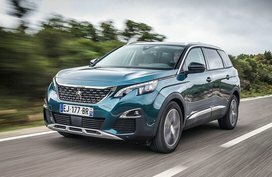 The compact SUV market is raging and here are offering from two automotive giants that are excellent choices. Why settle for a compact sedan when a compact SUV with all the goodies, can be had? Compacts are smaller than mid-size SUVs but they offer excellent mobility and safety features for the buck! Another alternative to compact sedans is compact SUVs that seat more passengers and come with better features all-together. This does come with a hefty price tag; but considering other compact car options, it’s a steal with the all the extra features. A compact SUV lies between a car and SUV concept, with a hatchback design for better luggage space. Seating position is better compared to a sedan, with a more upright position. One advantage of the SUV design is the addition of more pillars beside the A, B, C, with another pillar that supports the rear door. It offers higher clearance than a compact sedan or an over-priced sub-compact. Clearly the benefits of a compact SUV, will be explained more in this auto brawl 101: Honda BRV vs Nissan Juke by Philkotse.com. Let the spec battle begin, round one! Nissan’s contender in the compact SUV contest that offers the “Safety Shield concept” which assures improved safety for all passengers. Plus, add Nissan tendency to add more horsepower and torque to their models, unlike other car makers that tend to under-power theirs. Nissan Juke for a good option, anytime. Not to be left behind is the BR-V which is backed by Honda’s amazing auto engineering which is almost second to none. Just like Nissan, Honda likes to pack in the horsepower and torque in their models. 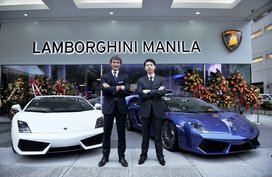 One main difference is their design philosophy that has served them well, with consistent designs that are modern and sleek compared to Nissan’s more functional approach. But, make no mistake for the price it offers everything needed and it’s worth it. Compact SUVs aren’t size kings; but they straddle between big performance and in a compact size in this Juke vs BRV head-to-head. The hatchback design will allow extra seats, for two more passengers. Elbow room is just as much as a compact sedan, but the rear bay allows more adjustment for leg room too! Based on the specs, the Juke is smaller by -394 mm in overall size which makes it a bit smaller compared to the BR-V. It seats about five people inside it. The hatchback design offers much more elbow and leg room, compared to some sub-compacts and compact cars. BR-V kicks it in this round, with +384 mm which means more seating and luggage space. This compact SUV even looks hefty compared to trimmer Juke. Size rules and it means more passengers and luggage space, anytime. Both have more than enough space, but the height and length of the BR-V wins out in the end. All the options in Juke vs BR-V comparison review isn’t about looking pretty; but also performance too. Why shell out 1 million-plus and not get superlative performance, it costs a lot and getting fewer features isn’t good at all! The Juke overpowers the BR-V in horsepower (154), the rear brake is a solid disk, and has a bigger displacement. It shares a similar engine and almost everything but has a lower ticket price that may be a game changer for some. Armed with a VTEC engine that has a horsepower of 120 (Ps), lower displacement does not really define performance totally. It’s horsepower range is greater than the Juke, though displacement is less. Juke takes this round just because the features, for the SRP is quite good. But both share almost the same specs. 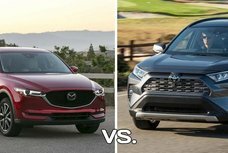 No automobile is complete without the best safety feature layout, this Nissan Juke vs Honda BR-V head-to-head stresses safety and does not agree with options that are less than safe. These two compact SUVs fall just right into this category too. The Inclusion of an extra pillar beside the other "C" car pillar, reinforces the central compartment too. In the auto industry, Nissan has led in producing cars with excellent safety features that are extras on other brands. With the “Safety shield philosophy,” it takes safety to a whole new level, that has earned many 5-star safety awards over the years. It scores with the inclusion of cruise control and Isofix attachment points, that is found in most high grade-models. Known for their excellent single-chassis (unibody) which Honda has earned 5-star safety awards as well. As an option, it is almost equal to the Juke but lacks cruise control and an Isofix attachment. Despite this difference, it still ranks well with the Juke. Juke score higher in this round, and continues Nissan’s tradition of modern and road safe vehicles. All the options in “Auto brawl 101: Honda BR-V vs Nissan Juke” must have comfort because drivers need to concentrate and be comfortable. From the car seats to AC and everything that’s engineered to allow trouble-free driving. Comfort is prioritized because of the “Safety Shield” That requires a relaxing environment for drivers, to respond to any drastic change in driving/road conditions. It losses out because of the lack of touchscreen and leather seat options. 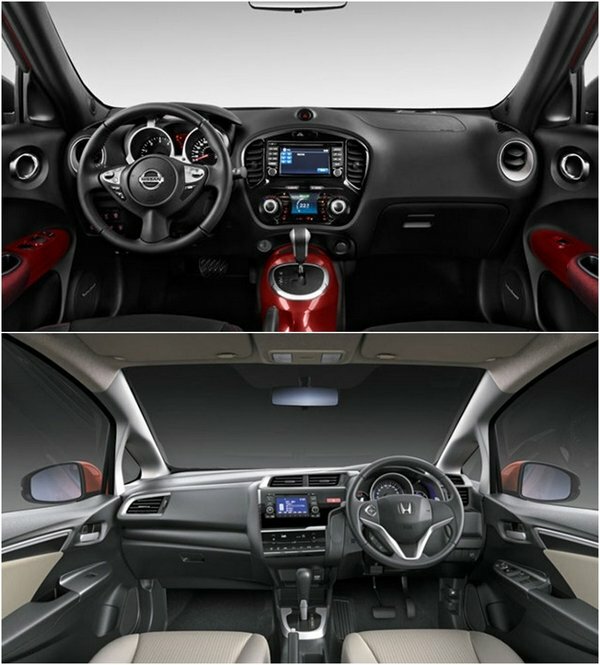 Comfort features are a match for the Juke, but it takes this round because of a touchscreen and leather seat options. But both are evenly matched, though the lower price of the Juke may work against its higher SRP. We’ve got a draw when the price point is played by Nissan that offers, something for a few bucks more! Things are heating up now. >>> You may also like: Nissan Juke and Subaru XV, which is better for you? Choosing the better option between the Honda BR-V and Nissan Juke should have good styling but must have the required exterior features but have more than that. Having the all the “must haves” for safer motoring like lights, and other equipment that makes it safer when driving in any condition and that allows safe motoring. The Nissan Juke has everything and gets one over because it has a rear camera, compared to the BR-V. Inside and out the Juke does make it cheap for how much less, it is than the BR-V. Okay, despite some equipment differences of this option, it still works. One problem is the cheaper SRP of the Juke, it can be game changer. Nissan’s Juke wins by a hair or a rear camera that is better than sonar. Both the BR-V and Juke are nearly equal, but that depends on the car buyer. The victor in the Juke vs Nissan auto brawl 101 is the Nissan Juke, here are the reasons why it is the better compact SUV. 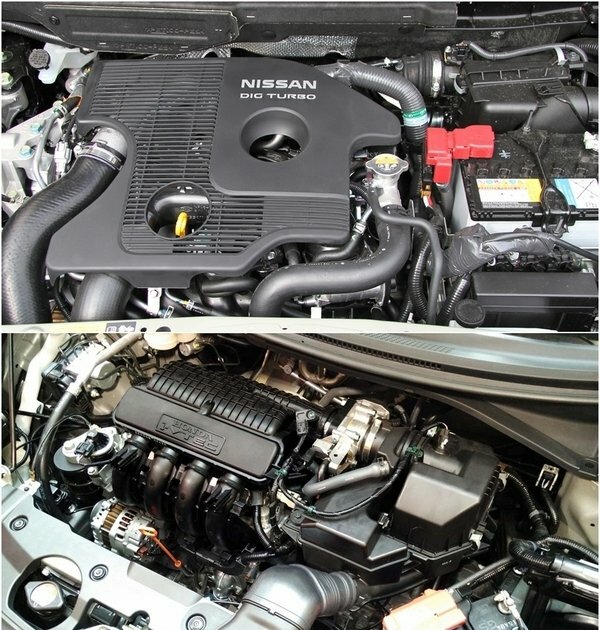 Nissan gave this option a good layout that gives it the power to spare when needed! Cars by Nissan emphasize safety, and it must pass “Safety shield” requirement too. Small touches like leather seats will always be something to look for. Comfort is crucial; for the cost of the cars hitting seven-figures should have many comfort features. Nissan Juke wins by a nose it has brighter lamps for the price and other relevant exterior features. 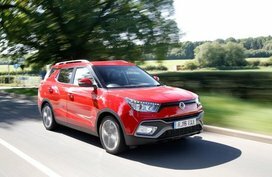 So, here is the compelling reason why the Juke won the spec war. The BR-V is a good option but costs a bit more and remember that a compact SUV offers the best option for motorists. BRV vs Juke: Who wins?